In early 2001, my teen-aged son and I went to see a movie just then getting its wide release. It was showing in the Hollywood 20 Theaters in Sarasota, in the smallest of the building’s theaters. He and I were among the few in attendance. The movie had not been marketed much at all. Few knew much about it, most had never heard of it. I wanted to go because of something I had heard about the music, but I knew nothing about the movie itself. My son went just because that was what we did. We left the theater thinking that we had just seen one of the funniest, oddest, most entertaining, and most intriguing movies we had ever seen. It went on to gross $45 million and to be nominated for two Oscars, but on that weekend, people were drawn to other fare. On a recent Friday my wife and I went to see a movie we had long been waiting to see. While others were enjoying Jungle Book or mindlessly considering the dawn of justice in Batman V. Superman (yes, my bias is showing), we had our own private viewing of Midnight Special. 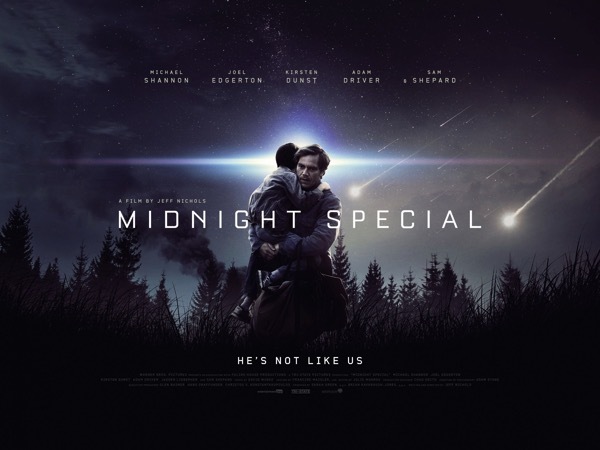 This movie is part thriller, part Sci-fi, part drama, and full of life. It is thoroughly entertaining and, like all movies by Jeff Nichols, sufficiently ambiguous to demand a second viewing, something we’ll gladly give. Plotwise, the most that can be safely said is that a father who has kidnapped his 8 year-old son is pursued by a religious cult and the US Government toward a magnificently creative and mystifying showdown. Along the way, the movie explores issues of belief and reality that encourage conversation afterword. But we were two of four in a 190 seat theater. That was Friday. For Saturday’s normal ‘Pizza and Movie Night’ in our house I had picked up from Redbox a movie called Brooklyn. Though nominated for three Oscars, including best picture, many people have not heard of it. There is no super-hero in the title and it is neither a sequel or a prequel. It is a romance, yes, but it is more. What struck our family as we watched it was that the customary romance plot lines never appeared. It felt REAL. There is a beauty to watching and identifying with emotional and cultural struggle in characters about whom we begin to care. Art takes us into the experience of another, or others as a class, and we can feel what they feel in ways that nothing else can. Brooklyn does this. These were gems that don’t get enough attention. I will still see the blockbusters. If there is a Star Wars or super-hero or dystopia movie, my wife and current teen-aged son will not let me miss it. And they can be fun. But it would be sad at the same time to miss these buried cinematic gems. Royal Tenenbaums? 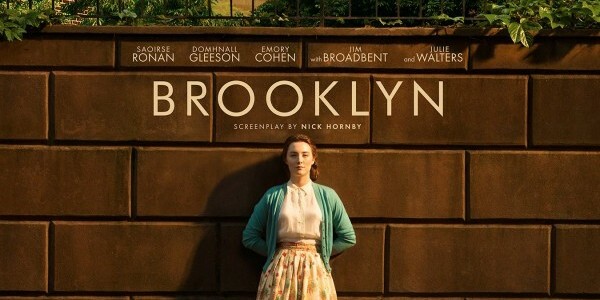 And I REALLY want to see Brooklyn. WAIT! WAIT! Is it O Brother Where Art Thou?! I will withhold cheers or raspberries, whichever are deserved, until I’ve heard from others.